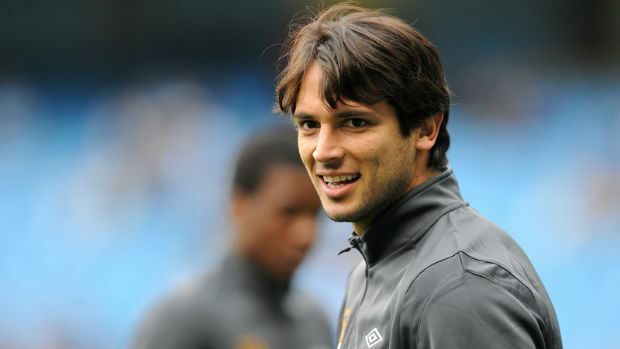 Roque Santa Cruz is not your average soccer player. While most players are into the whole fame and glory aspect of the game, Cruz comes in plays soccer and then quietly goes away. Rather than cars, women and money Cruz has always been more interested in social issues, most important and close to his heart are children coming from poor backgrounds. This soft demeanor doesn’t detract many from Cruz’s on field persona as that of a player who isn’t easily intimidated at all. But rather who one who likes being challenged and one who relishes pressure stages in matches. Cruz is the soccer player with a strong social conscience and an equal passion for social change, especially in his native country. There is a lot more to Cruz than meets the eye. Born as Roque Luis Santa Cruz Cantero in 1981 in Ausuncion, Paraguay into a family of boys who were raised single handedly by their hard-working seamstress mother. Initially Cruz wanted to become a police officer when he was young but soon developed a love for soccer. Cruz credits his mother for installing humility into him as a player and he never forgot where he came from. A pact he made as a youngster, as he played soccer in the streets with other kids, was that if he ever became anyone he would always come back and help children in need. And this is exactly what he does post-retirement. His Roque Santa Cruz Foundation helps build schools across Paraguay in poverty stricken areas and provides training to children and teachers. So far there have been 25 schools with more to come and all of them are run solely on Cruz’s earnings as a soccer player. Although growing up Cruz didn’t have much but he was raised strongly by his mother to learn to value things which is why even today he doesn’t live the lavish life-style which is so typical with other soccer players. By the time he was 16 Cruz had joined a local club Olimpia and within a year he was playing for Bayern. Following on from Bayern Cruz played steadily for Manchester City and Blackburn for a few years. At Bayern he established himself as a solid striker winning numerous Bundesliga titles, the DFB Pokal and DFB Ligapokal titles as well. He also won the 2001 and 2001 UEFA Champions League titles and the Intercontinental Cup in 2001. On the international front he played for his national team for 17 years. This included appearances in three World Cups, and in the 1999, 2007, 2011 and 2015 Copa America tournaments where his lead his team to the runner up position. He is still the lead scorer of the Albirroja with 32 goals and is ranked sixth in Paraguay’s history of players to reach 100 appearances. For his national team he has made 111 caps and scored 32 goals. Cruz has been voted Player of the Month in 2007 and Player of the Year in 2008. He was ranked 75th in the List of Top International Association of soccer goals scorers of all times.